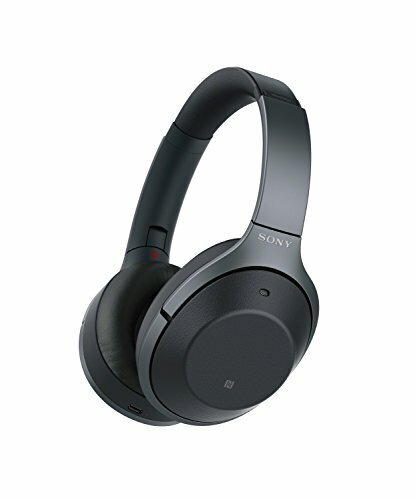 Amazon offers the excellent Sony MDR-1000XM2 headphones for only 299 dollars (including shipping), while it takes about 350 dollars in online shops. Only the cream model is concerned by this small price. The MDR-1000XM2 is a Bluetooth headset (Apt-X compatible) with an active noise canceling system. The latter is very effective when it comes to enjoying your music in noisy environments, such as public transport. It benefits from excellent finishes and offers a great comfort of use. It also offers excellent audio performance. The WH-1000XM2 sports a design and materials identical to those of its predecessor, providing equally irreproachable comfort. There is, of course, the excellent active noise reduction, as well as the hands-free kit offering an honorable capture. While the touch controls offer the full range of usual options, however, we regret the disappearance of the button dedicated to listening to the sound environment. The rocker is now from the new application HeadPhones Connect (iOS and Android) that allows you to set the many features of the headset and display the essential information (automatic adaptation of the level of active noise reduction and opening microphones depending on the activity detected, EQ, reverb, codec used, remaining battery level …). An application allows you to set many functions and configure an equalizer. Sony has even designed a mode specifically dedicated to the cancellation of noise in an airplane. This is improved by the presence of an atmospheric pressure sensor. Side autonomy, the MDR-1000XM2 can listen to music for more than 30 hours in practice, more than announced by its manufacturer. If the battery is discharged, it is still possible to use a cable. In addition, a quick charge mode allows you to find more than one hour of autonomy after only 10 minutes. The Best Portable Solar Charger to Reload Your Phone Ecologically!